This article will describe creating LiveDVD with livecd-rootfs, squashfs and grub-mkresucue for resucue Ubuntu 16.04. Copy live-build config files from livecd-rootfs to work directory. This article uses ubuntu-core which has no desktop environment. $ cp -a /usr/share/livecd-rootfs/live-build/auto . $ cp -a /usr/share/livecd-rootfs/live-build/ubuntu-core . Create config files by lb config with setting PROJECT variable. Change LB_DISTRIBUTION from precise to xenial with sed. Create chroot directory which will be extracted rootfs. A size of ubuntu-core's rootfs is 245MB. Customize rootfs with chroot and systemd-nspawn. Copy souces.list from host machine to rootfs. Set hostname and add to /etc/hosts which will be used by sudo. Set root passwd with chroot. Installing live-boot package and live-boot-initramfs-tools package, and setting "boot=live" to kernel parameter, LiveDVD can be run. "boot=casper" is for installer which can eject DVD when shutdown. 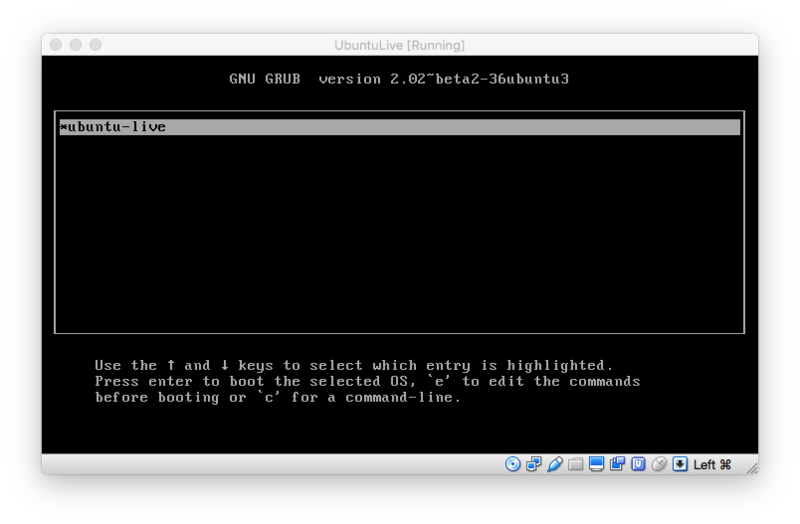 Install GRUB2 and linux kernel. This is for using grub-mkconfig and loading kernel. Install kbd package for non-English keyboard. This article uses Japanese keyboard. 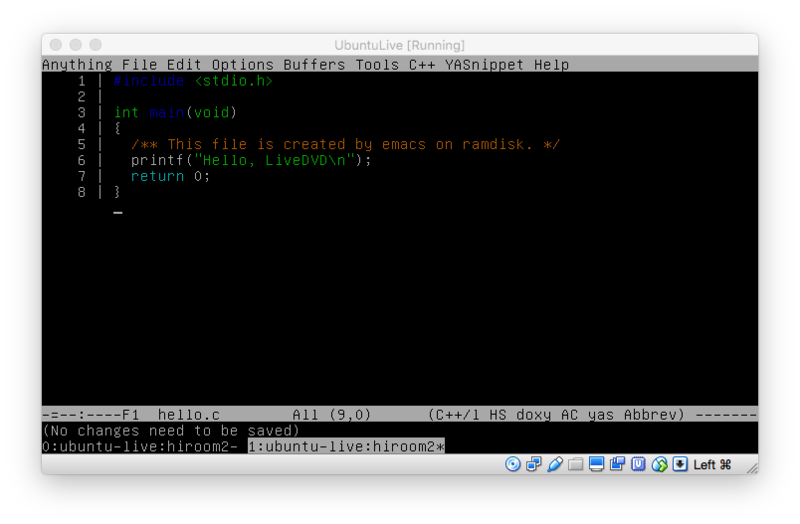 This article uses LiveDVD for rescue Ubuntu, e.g. fsck and lvm backup. When running ssh server on host, openssh-server's postinst will be failed, but it does not need to take care of it. After creating user, run hash command for PATH searching. This article sets .ssh and .byobu. Create grub.cfg which can use serial console. And add "boot=live" to kernel parameter. This will run scripts/live in initrd. Shtudown container and return to host. Create squashfs and GRUB installed iso. Copy boot directory to iso. GRUB will load kernel and initrd from this directory. Create squashfs from chroot directory and copy to iso directory. If you have already created filesystem.squashfs, you must remove previous filesystem.squashfs before creation. If you do not remove previous filesystem.squashfs, there will be duplicated directories like /etc and /etc_1, or /var and /var_1. Create iso which is installed GRUB2. LiveDVD will start with running this iso on BIOS. Running iso on VirtualBox is as below. Running byobu and emacs is as below. You can write files to rootfs which is overlayed to ramdisk. An overlayfs is used at mount point /. 512MB is available for writing files.